What is the best Christmas present to get a child or grandchild? Christmas is a wonderful time of year for many reasons. 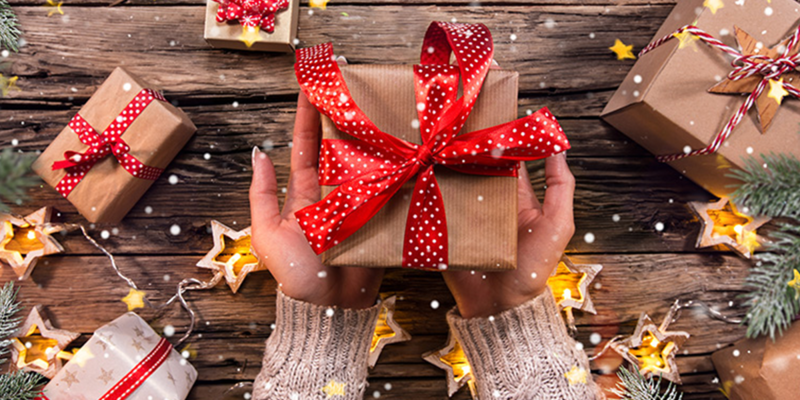 We all have fond memories from the past of time spent with family and fun activities and many of us remember the anticipation around giving and receiving gifts. But what did you get for Christmas 20 years ago? What about 10 years ago? What about last year? There may be some gifts that stick out in your mind but on the whole, it is challenging to recall most of the gifts we received. Not because it was not a great gift or that we did not love the person who gave it to us, but because it did not have a lasting impact on our lives. If you think of the gifts you do remember, they likely were used for year and may even be to this day by you and your family. So what kind of gift do you really want to give? Something that will provide momentary happiness or something that will have a positive impact for years to come? I would care to venture that you may prefer the gift that keeps on giving for years and years. Obviously, I have something in mind for children and grandchildren. Instead of spending tons of money on toys, games, and whatever the latest craze may be, use some of that money on life insurance. This could be on you or the child. Think about it: Your children or grandchildren will not remember in 25 years that you got them the latest video game this year. But, imagine the impact on their lives if you are able to leave them a legacy that can help their families. Or, because of the gift of life insurance you have helped them get a huge head start on their retirement planning, a down payment on a house, or even sending their kids to college. Life insurance is cheaper than you think and there are so many ways to leave this amazing gift to the children and grandchildren that you treasure. You may be thinking, “Shocker, the insurance guy is saying to buy life insurance,” but I was able to receive this kind of gift that had a wonderful impact on my young family and we are forever grateful. If your kids miss out on this year’s hot item because you looked ahead and gave them the best gift you could ever give, that’s okay. One day, they will understand why you gave them a gift that they could not play with or show their friends. One day, they will be able to thank you for a gift that will bless their life. If you have any questions as to what this may be able to look like for your or someone in your family, feel free to reach out to us. Cory is one of the co-founders of Both Hands Financial Group. He is married to Emily has two wonderful daughters, Harper and Scarlett. Cory's family has been able to benefit from the gift of life insurance from a grandparent and the impact it was able to make for his family will last for years and years.